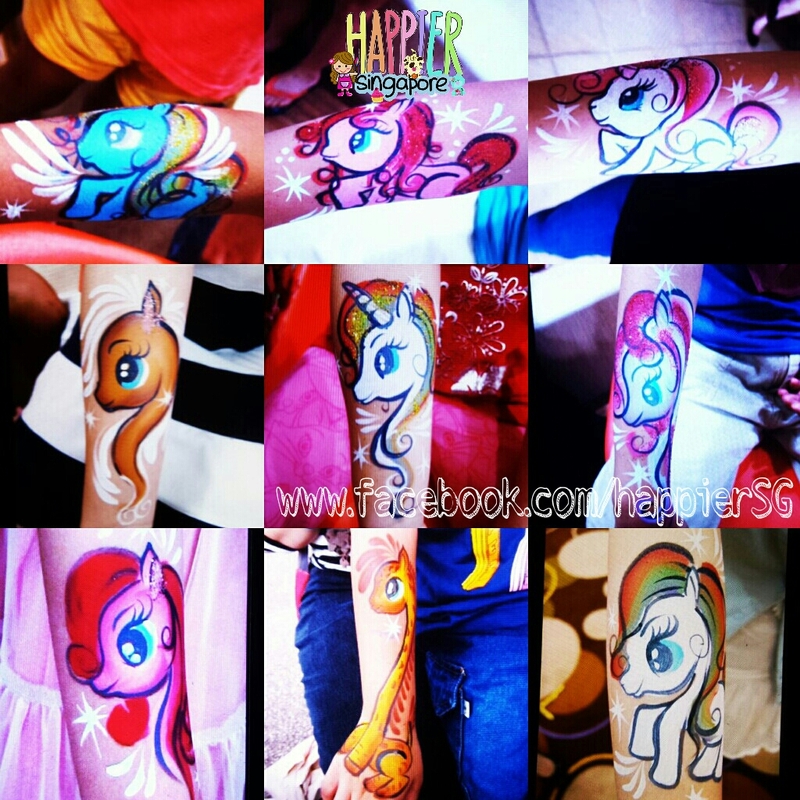 The Best of Our Face Painting, Balloon Sculpting and Decorations 2014 | I Paint and Twist Anything! ← Happier National Day, Singapore! It’s New Year’s Eve and we are taking the time to count our blessings for the year of 2013. A big thank you to all our customers, partners and suppliers for supporting us since we started up in April. Special thanks to all the mummies and daddies who have invited our face painters, balloon sculptors & decorators, caricaturists, calligraphers, magicians, photographers, craft & game hosts, popcorn & candy floss chefs to your child’s parties and family events! 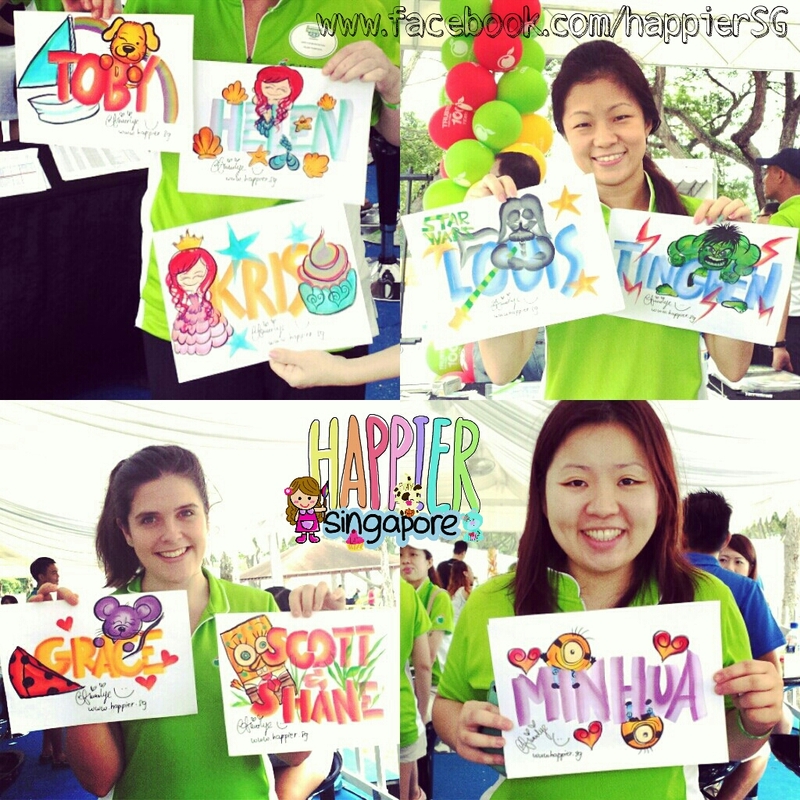 Without you, our artists would not have the opportunity to spread our joy and love for children and art! It’s really great to know that our hard work and passion has not gone unrecognized. 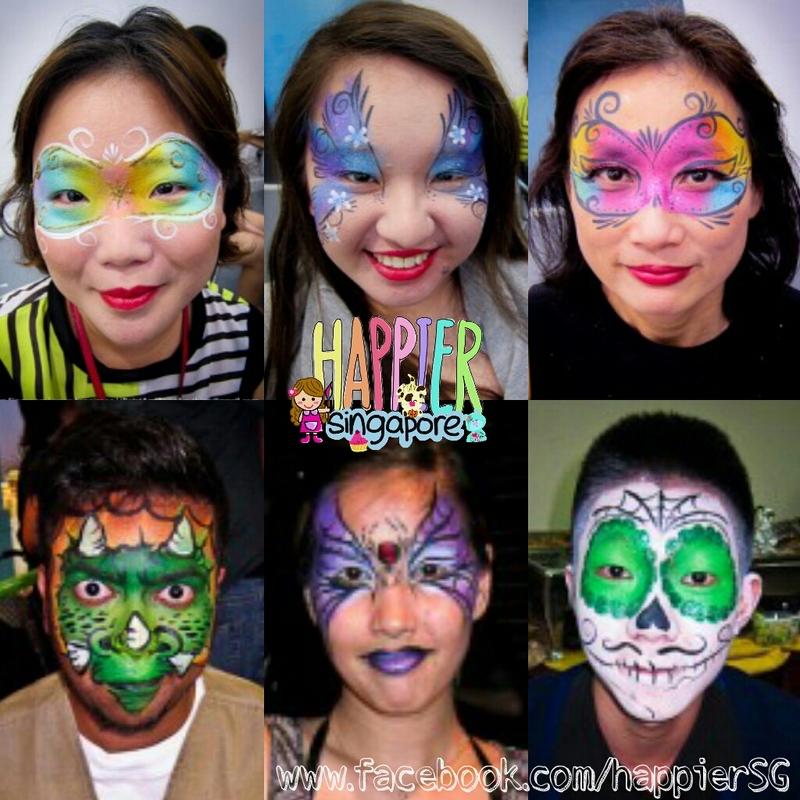 Just 6 months into our launch, Happier Singapore has been recognized by The Asian Parent as first on the list of Top 5 Face Painters in Singapore! We will continue to strive to improve as artists and entertainers, bringing you creative designs beyond your wildest imagination! 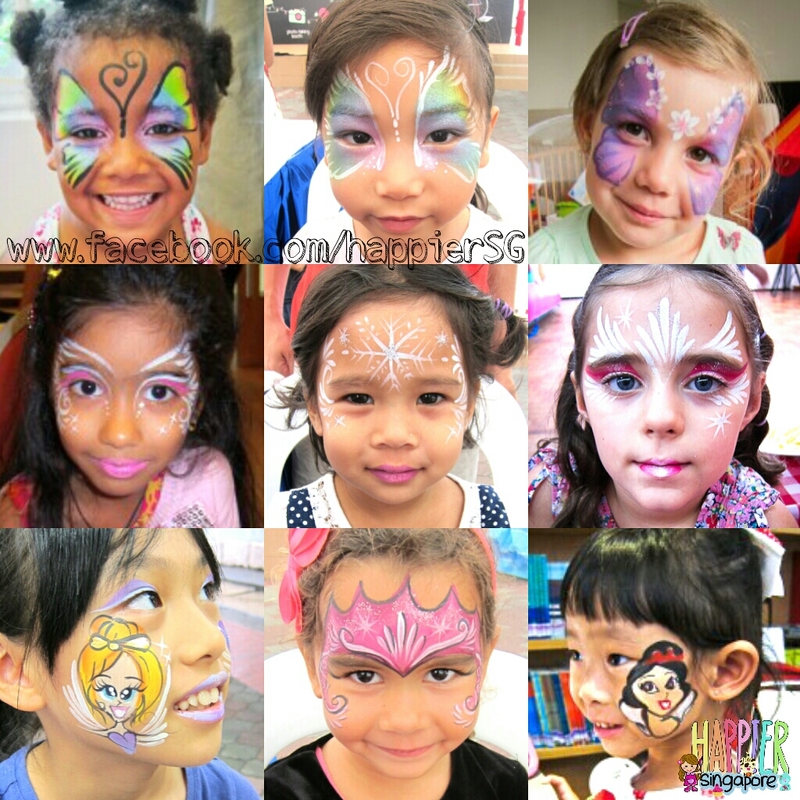 Our most popular girl face painting designs, needless to say, are our rainbow butterflies! Even within this small category of designs, our face painters like to paint each butterfly to bring our the personality of our little customers. From the moment she sits down in our chair, we can tell if Little Miss Sunshine, Little Miss Shy, Little Miss Thoughtful etc. That’s part of our enjoyment too as face painters I guess. Only recently did I discover the difference between a Unicorn, Pegasus, Alicorn and your regular earth Pony and Horse. If you are above the age of 12, chances are you’d need to learn this from someone younger than you. Well, at least I did. You might be surprised how much attention to detail your child is capable of when you sprinkle some imagination, colors and magic into your teaching. Maybe I’ll blog about teachable moments from the psychologist – face painter perspective next time! Face painting is no child’s play. While we aim for speed at events and parties, you can also book a private session to get a high definition face painting makeover for your fancy dress functions. You can get the same cinematic quality makeup done in the comfort of your home or office with family, friends and colleagues. We’re always looking forward to get creative for your next Masquerade ball, Halloween party and more! Are you looking for innovative marketing tools? Leverage this a unique marketing opportunity with our face and body art, where your guests become walking and smiling ambassadors of your brand. You can count on our face and body painters to make your event moments Instagram and Facebook worthy. Because our face and body painters can paint free hand, the possibilities are virtually limitless! 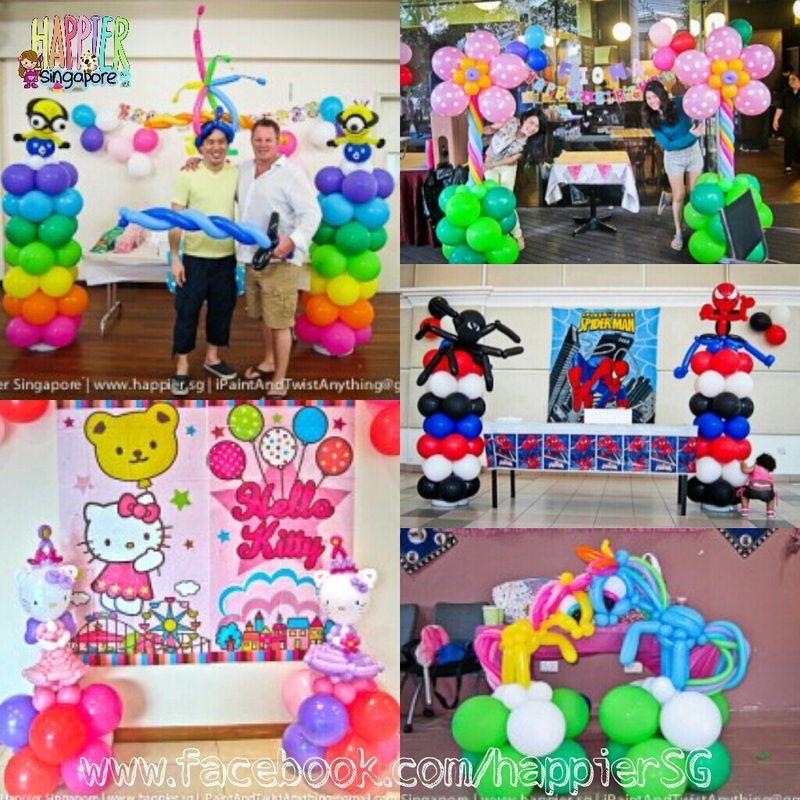 We came up with colorful balloon column decorations to match our clients’ themed entertainment too! Our balloon sculptors are almost like your modern day fairy godmothers and fairy godfathers. Whatever the birthday boy or girl wishes for, we can twist it out of balloons. 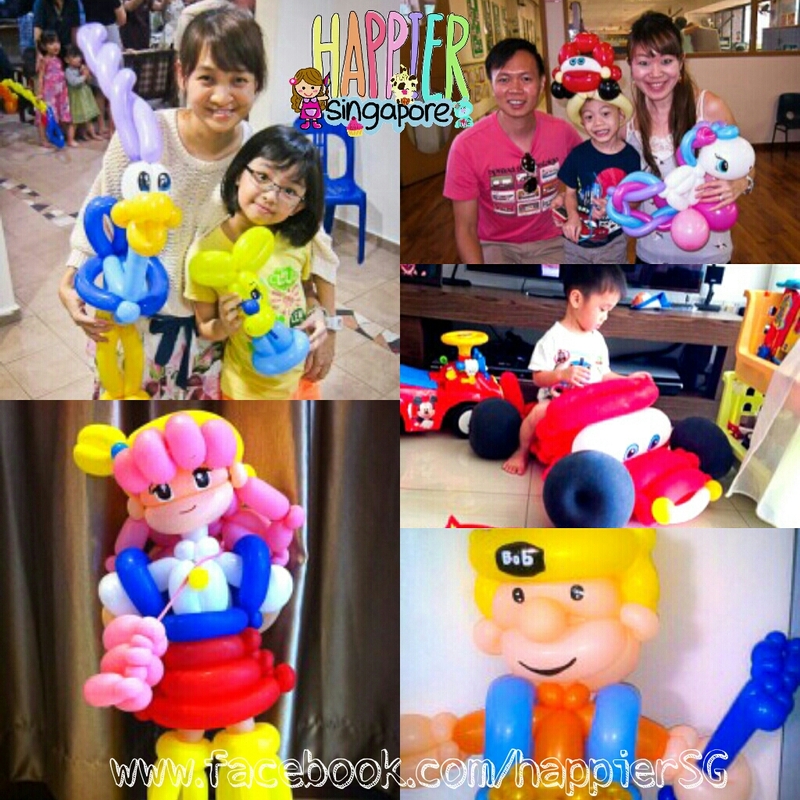 No party is complete without each child going home with a cute balloon sculpture toy! If you are a brand manager, we can come up with a creative balloon marketing plan to boost the ROI on your roadshow promotional efforts too! Caricature is a must-have for adult parties I would say – it doubles up as entertainment and a personalized door gift for your guests! Our caricaturists are highly sought after for weddings, cocktail receptions and roadshows. 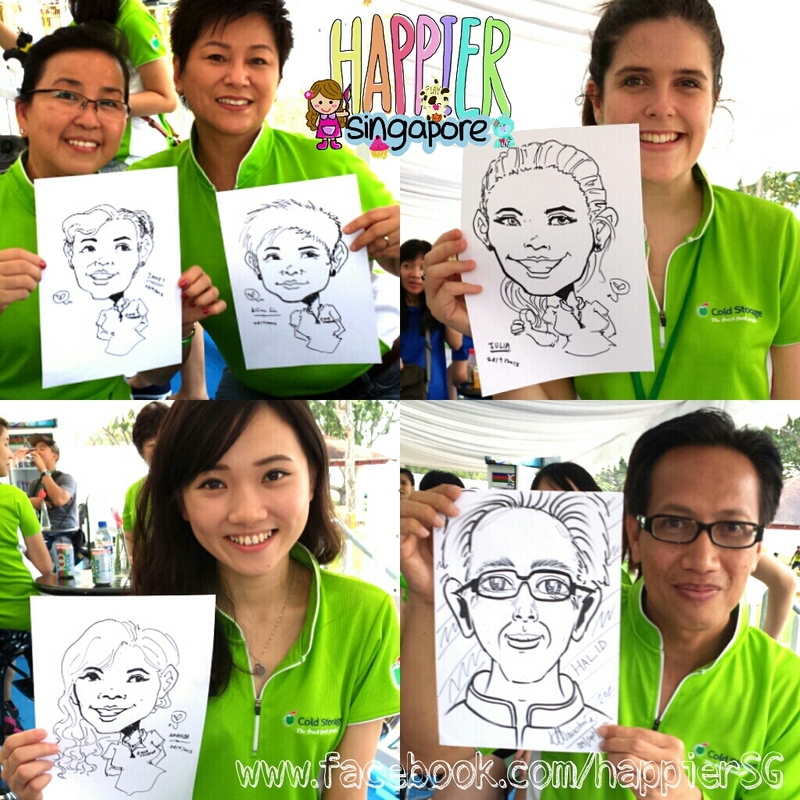 A happier caricaturist will lighten up your parties as they entertain you live with a cartoon caricature of yourself drawn on the spot. If you love our face painting designs and you want the 2-in-1 entertainment and door gift concept, name art calligraphy is the perfect option for you! We are proud to say that Happier Singapore is the first in Singapore to offer this unique service. It is so true when they say art is influenced by culture. I am getting a feel like I am the last few young Singaporeans who love their country and their own culture. I was inspired by the traditional Chinese calligraphers at our local Chinatown. Our happier artists put own our spin on the traditional calligraphy art with vibrant colors and trendy designs that appeal to all ages. If you are planning for a cultural or community event, our name art calligraphers will be most happy to weave in a cultural element for you too! Here’s wishing you a happier new year with family and friends! This entry was posted in Balloon decorations, Balloon Twisting, Body Painting, Caricature, Events, Face Painting, Name Art Calligraphy and tagged art, artist, balloon artist, balloon decorations, balloon sculpting, balloon sculptor, balloon twister, balloon twisting, balloons, body painter, body painting, calligrapher, calligraphy, caricature, caricature artist, caricaturist, chinese calligrapher, chinese calligraphy, costume party makeup, entertainer, event services, face painter, face painting, fancy dress makeup, halloween makeup, happier singapore, name art calligraphy, party entertainer, party entertainment, party planner, singapore, singapore artist. Bookmark the permalink. Alicia Lye’s company is the BEST company I’ve ever seen!! !And the name art calligraphy is definitely my favourite!! !Once,i went to a celebration and saw Alicia busy painting names creatively.She did for me one also,in a minion version and i love it so much that i STILL have the piece of paper with me which has touched my heart!! 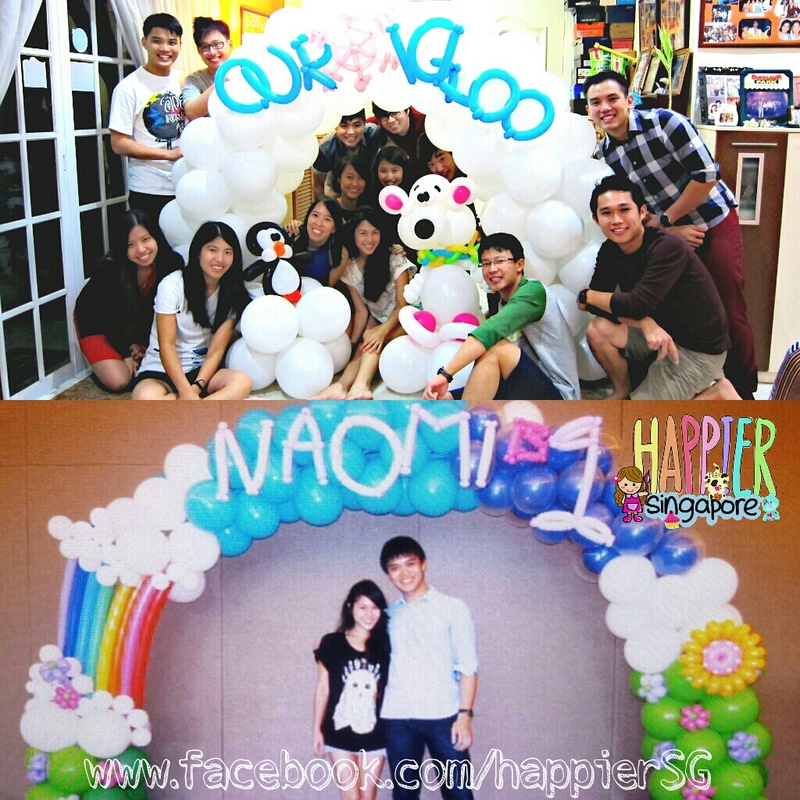 !Happier Singapore is indeed one of the best companies I’ve known.Alicia is a brainchild! 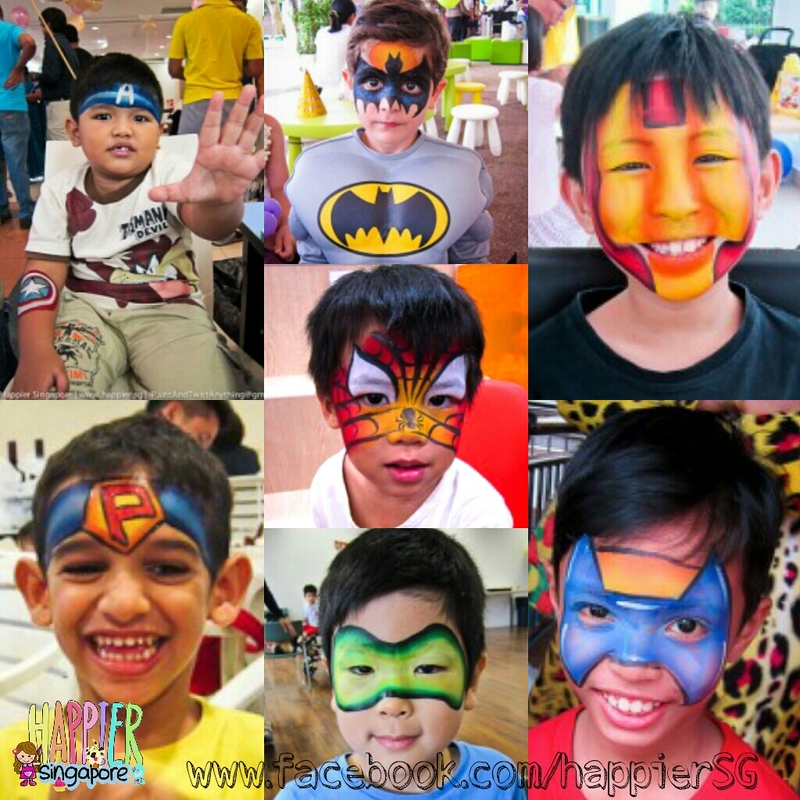 Pingback: The Best of Our Face Painting, Balloon Sculpting and Decorations 2015 | I Paint and Twist Anything!